Yes, it's that time of year again – the biggest gaming franchise in the world is back, with a new Call of Duty trailer released. Following hot on the heals of Modern Warfare 3 released in 2011, the next instalment is actually a direct sequel to 2010's Black Ops and has unsurprisingly been given the moniker Call of Duty: Black Ops 2. While Black Ops focused on the exploits of a group of CIA-backed soldiers during the Cold War in the 60s, Black Ops 2 moves the action into the near future. The twist is that there's another Cold War but this time the weaponry is much more advanced. According to the makers of the game, in the 21st Century Cold War technology and weapons have converged to create a new generation of warfare. Black Ops 2 has a lot to live up to, as its predecessor was the biggest game of all time – a feat that not even Modern Warfare 3 could match. The original Black OP's multiplayer aspects have been criticised, though, so here's hoping LA-based studio Treyarch has taken this on board and created an FPS that shoots to kill. 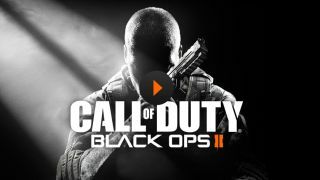 Although the first trailer of the game and details have finally been released, there's a bit of a wait for the game – the Call of Duty: Black Ops 2 release date has been set for November 13. Check out our video of the trailer below.